This project goes in search of true night darkness in Europe: pristine night landscapes where clouds still darken the night sky. Its main objectives are to identify the darkest regions of Europe and to measure the brightness of the night sky in these places. 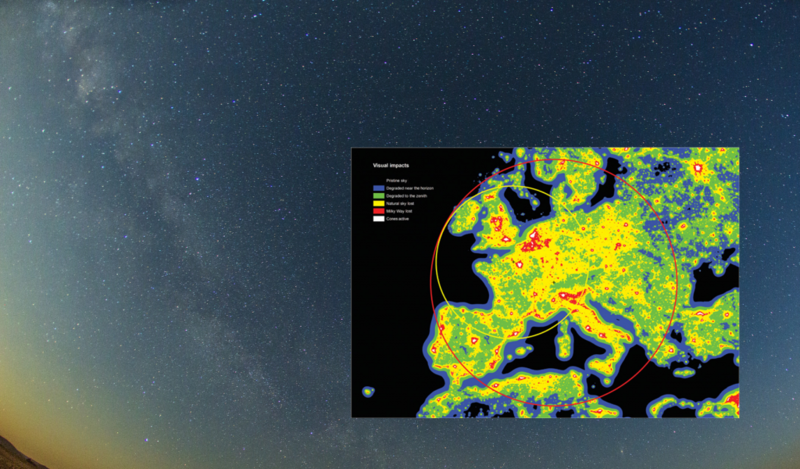 One of the urgent questions for light pollution researchers remains: “How dark is a natural night?” According to the New World Atlas of Artificial Night Sky Brightness there are very few real “pristine skies” in Europe. That is, places that are so far from cities, towns or any other significant source of artificial light, that the brightness of the night sky in the background is natural, also on the horizon. The high density of the settlements has eliminated most of the natural landscapes, so it is urgent the conservation of the few sites that still exist in our continent.